Will you guarantee my boiler? Stretton Heating is an approved Worcester Bosch installer. 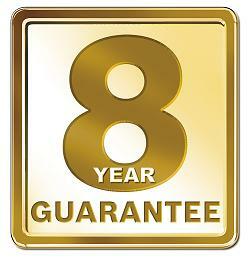 We can guarantee your gas boiler for 8 years and oil boilers for 7 at no extra cost. Will you be piping the system in plastic or copper? Plastic is cheaper than copper, and is more likely to let you down in the future. Heating companies know this, but many of them will still use plastic, because it allows them to quote you a cheaper price. Stretton Heating always quotes the price for copper pipe because we want your installation to be high quality and problem free. After all it is not going to be much of a saving for you if the system lets you down and you have to pay for call outs to fix it. Will a fully qualified heating engineer install the system? Stretton Heating employs only time served heating engineers. Between them they have more than 15 years experience on central heating systems. Larger companies often use junior team members to fit out heating systems, with a final check by a time served team member. Far better to have an experienced Gasafe engineer to fit your whole system. Peace of mind for you in a job well done. Are you qualified to know the best boiler for my needs? Stretton heating hold a professional energy efficiency qualification. Our quotation process includes a full efficiency survey where we will be able to advise you on the best boiler for your needs. When replacing your old boiler, whether it is faulty, or you want to save energy, it is important that you choose the right kind of boiler for your needs. Will you flush the system before handover? Our central heating systems are fully flushed and chemically treated before handing over to the customer. We do not want to make money out of your boiler breaking down! We want our installations to give you many years of trouble free use. We are so confident of the quality of our installations that we offer a comprehensive manufacturer backed 8 year warranty.